Patio Awning Manufactures Edmonton | The Company | Edmonton Tent & Awning 2000 Inc. 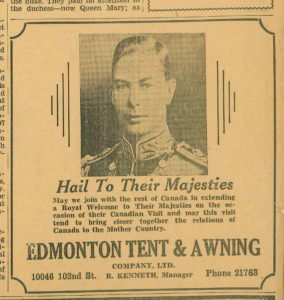 Founded in 1895 by Mr. R. Kenneth, our company began as Edmonton Tent and Mattress Co. Ltd. At that time, we were the largest manufacturer of tents, boat and wagon covers, pillows, and mattresses west of Winnipeg. 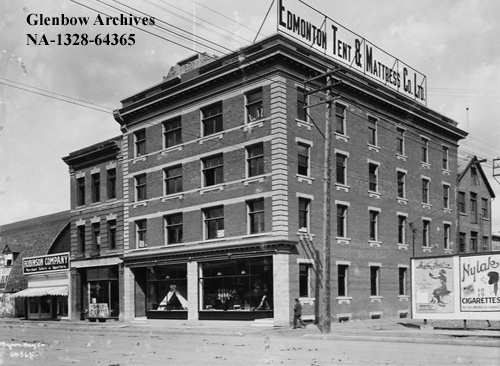 As Edmonton grew into a thriving modern city, our company kept pace with the times. 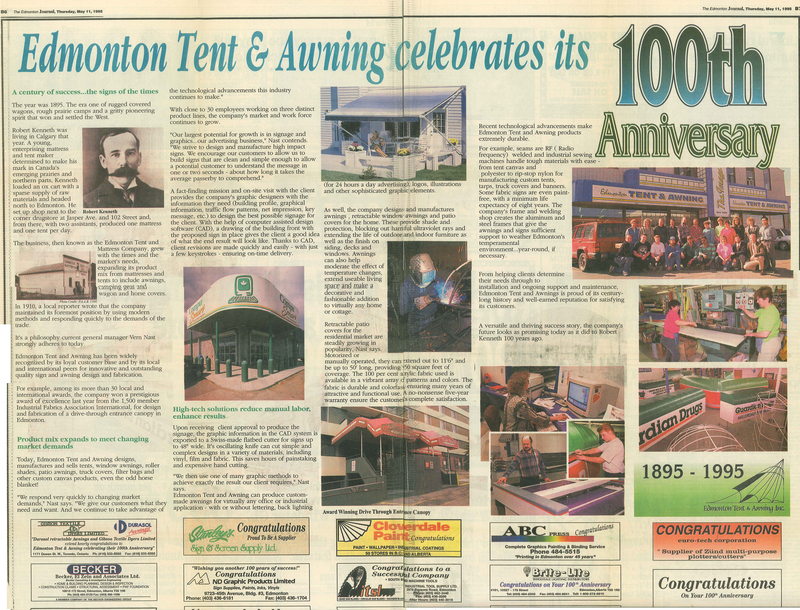 Edmonton Tent & Awning 2000 Inc. In 2000 we changed our name to Edmonton Tent & Awning 2000 Inc. Edmonton Tent & Awning is the oldest Edmonton-based, locally owned manufacturing business still in operation! To ensure our future success, we continue to provide the same award-winning products and services that our customers have come to expect.